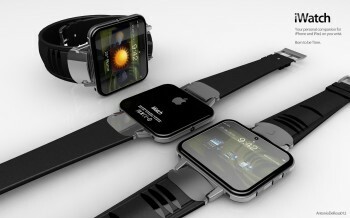 Apple’s iWatch could materialize sooner than we expected, as the timing looks better now, at least according to a Bloomberg report. Besides consumers accustomed to using apps each day, wrist watch manufacturers have seen tremendous success over the past few years, and even Jony Ive has long had an interest in watches. Although the rumours of an iTV have been around for some while now, the iWatch seems to be more profitable according to Oliver Chen, a Citigroup analyst cited by Bloomberg. His calculations show that a global watch industry would generate more than $60 billion in sales, which although lower than television set sales, would have a much higher gross margin, at around 60%, four times that of televisions. “This can be a $6 billion opportunity for Apple, with plenty of opportunity for upside if they create something totally new like they did with the iPod — something consumers didn’t even know they needed,” said Chen, who covers luxury- goods retailers. A previous Bloomberg report revealed that Apple is already working on a wristwatch, and the device could hit the market as early as this year, the sources highlighted. The new Apple product is rumoured to include features such as letting users make calls, see caller IDs, check map coordinates, and house a pedometer for counting steps and sensors for monitoring health-related data, a person “familiar with the matter” said. Apple design chief Jony Ive has long had an interest in watches. Besides owning many high-end models himself, he had his team visit watch factories and ordered boxes of a sports watch made by Nike Inc. in the mid-2000s, said Scott Wilson, who was then Nike’s creative director. Apple has filed at least 79 patent applications that include the word “wrist”, including the one that reveals some of the possible features of the iWatch. The Verge’s sources corroborated what Bloomberg’s sources say, adding that the iWatch will run iOS, but the battery life is still a challenge Apple needs to address.